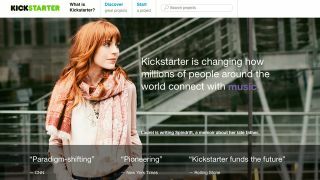 Kickstarter is the latest online portal to suffer a hack, with the company admitting user information was compromised by the breach last Wednesday. In an email to customers on Saturday, the company said it received word from law enforcement last week claiming customer data had been accessed. Although the crowd-funding site says no credit card information had been obtained, the hackers did grab customer names, emails addresses, physical addresses and phone numbers. Kickstarter said upon hearing of the security breach it quickly plugged the hole, but is still advising all customers to reset their passwords. "Sorry, we'll do better, blah, blah"
"We're incredibly sorry that this happened. We set a very high bar for how we serve our community, and this incident is frustrating and upsetting. We have since improved our security procedures and systems in numerous ways, and we will continue to do so in the weeks and months to come," the company wrote in the email. "We are working closely with law enforcement, and we are doing everything in our power to prevent this from happening again." In a Q&A on the Kickstarter blog the company said full credit card numbers were never stored and also explained why it took until Saturday to inform customers when the breach took place three days earlier. CEO Yancey Strickler wrote: "We immediately closed the breach and notified everyone as soon we had thoroughly investigated the situation." Get that password changed and then check out 10 Kickstarter projects you'll be buying in 2014?